Commonly associated with the festive season, chestnuts are actually widely available from September onwards and this sumptuous risotto recipe by Theo Randall is a fantastic way to make the most of these distinctive little nuts. 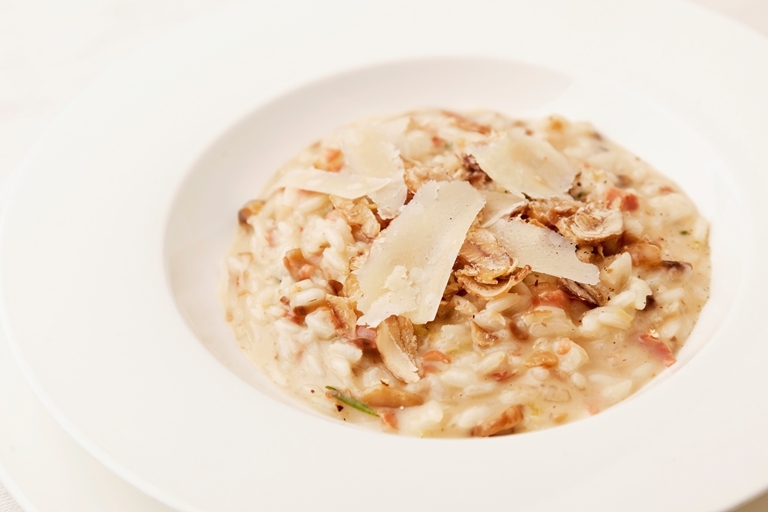 Remember, the trick to a good risotto is lovingly adding the stock, one ladle at a time – this recipe, with a dash of brandy lending a rich, heartiness to an Italian classic, is well worth a little patience. Soften the onion, celery, pancetta and rosemary in the olive oil over a low heat for 2-3 minutes. Add the risotto rice and cook for 5 minutes.